Cosmetics Products (Prohibition of Bleaching Agents) Regulation of Nigeria 2018 - Law Firm in Nigeria - Lawyers in Nigeria. 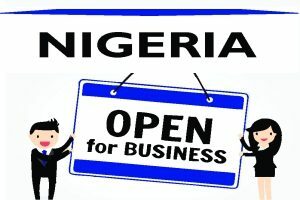 Lex Artifex LLP, law firm in Nigeria, has introduced the Food & Drug (F&D) Helpdesk to assist individuals and companies involved in the manufacturing, distribution, exportation and importation of regulated food and drugs products in meeting the requirements set by Nigeria’s National Agency for Food and Drug Administration and Control (“NAFDAC”). Below is the Cosmetics Products (Prohibition of Bleaching Agents) Regulation of Nigeria 2018. 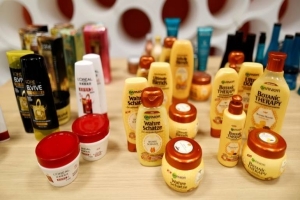 (1) No person shall import, manufacture, distribute, display for sale, offer for sale or use any cosmetics, which are adulterated or which contains any substance which when used according to the direction on the label accompanying the cosmetic product is likely to cause injury to the health of the user. (2) No person shall import, manufacture, distribute, sell, display for sale, offer for sale or use any cosmetic product which contains any of the skin bleaching agents listed in the Schedule A to these Regulations. (3) No person shall import, manufacture, distribute, sell, display for sale or offer for sale any cosmetic product which contains more than 1% of Hydroquinone and Arbutin as ingredients together. (b) a body corporate, to a fine not exceeding N100,000. (h) Revalidates any information originally indicated on its label or container by the manufacturer. “Cosmetics” means any substance or mixture of substances intended to be rubbed, poured, sprinkled or sprayed, introduced into or otherwise applied to the human body or any part thereof for cleansing, beautifying, promoting attractiveness or altering the complexion, skin, hair or teeth and includes deodorants and detergent powder. (1) The Cosmetics Product (Prohibition of Bleaching Agents, Etc.) Regulations (2005) are hereby repealed. (2) The repeal of these Regulations specified in Regulations 5(1) shall not affect anything done or purported to be done under the repealed Regulations. This Regulation may be cited as the Cosmetics Product Prohibition of Bleaching Agents Regulations, 2018. National Agency for Food and Drug Administration and Control ( NAFDAC ).